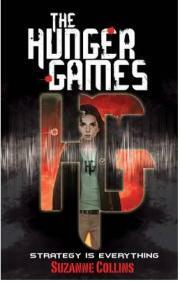 Back on Christmas Eve Eve 2009 I bought a book called The Hunger Games. I read it in one sitting, about 5 hours, it was just sooooo good. I've since read it, and the following 2 in the trilogy, Catching Fire and Mockingjay many times, they are definitely up there in my Top 10 Fav Books of All Time (a post which I am going to have to re-do to make a few changes!). Anyway, the movie is coming out in March and I can't wait! I am so excited to see it. The trailers look great and this is definitely another movie I'll be seeing in Gold Class! You can Click Here to see the first trailer. The second trailer is below. Have you read The Hunger Games trilogy? Are you a fan? I have just started reading the mockingjay.